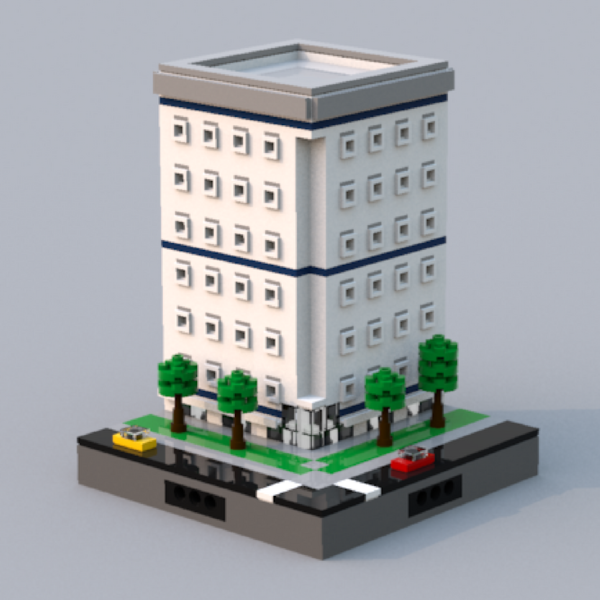 This micro-scale city build is a very simple yet effective design, perfect to add to any micro-city layout. 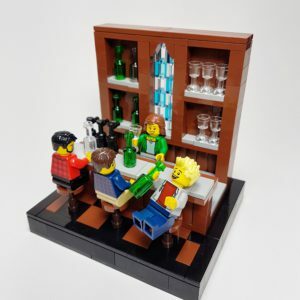 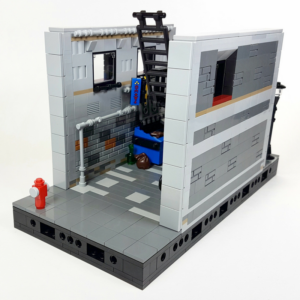 Built on a standard micro-scale base of 16×16 studs, with connection points in the center to attach to other compatible micro-builds. 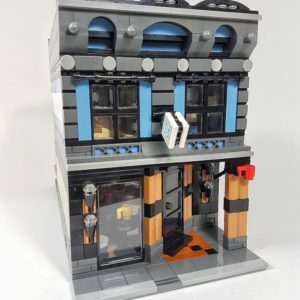 With 7 floors, a large open concept front entrance, and plenty of green space, this build is packed full of detail from top to bottom. 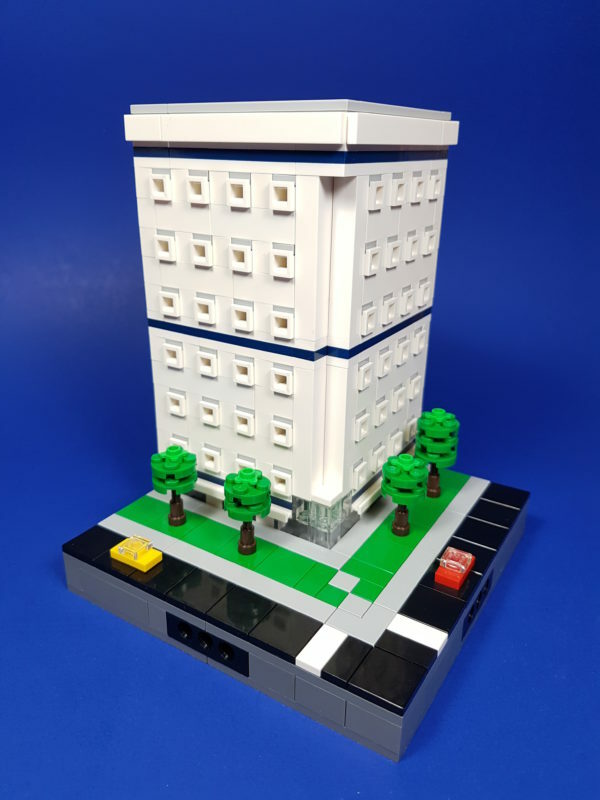 This build is built on a 16×16 stud plate, and is flat on the back to allow it to connect to other micro-city modules. 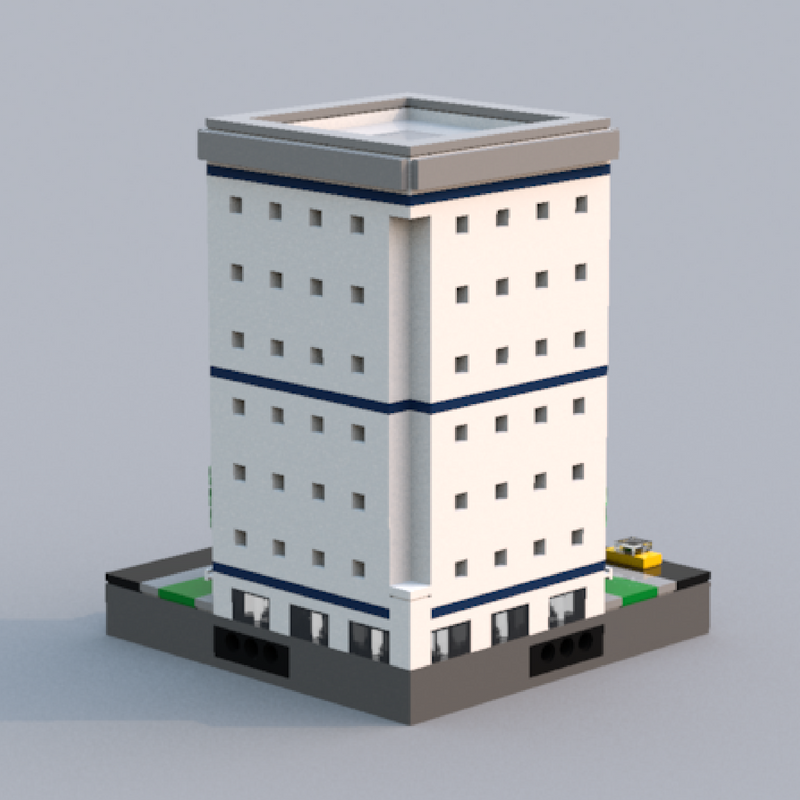 The colour scheme of this build can be easily changed to create different buildings throughout your micro-city. 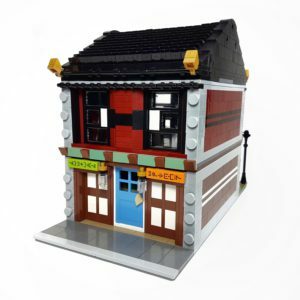 Try slight variations on the build as well to create multiple builds from one design!